I have been craving a water vacation. It doesn’t have to be a beach or hot, but it does need to be ocean related. I miss the sound of the waves, the smell of the sea air and the energy water gives me. Thinking back to the last serious ocean vacation was 1988. Sure I’ve stood on the shores of Huntington and Cocoa Beaches fairly recently and felt the rush of the waves and sand beneath my feet. But it has been FOREVER since I sent time on the ocean. 1988 I took the train from Edmonton to Vancouver and met my grandparents for a week vacation before I had to start my first REAL job – the kind of job that uses the college education you earned. I had 1 week left before I had to start and I had been feeling cruddy. 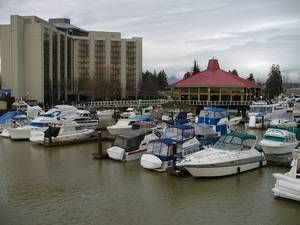 Life was sucky and about to get worse (hindsight being 20/20 I would have made different choices) Mom suggested I go visit my grandparents who had a yacht moored at the Delta Marina in Richmond, British Columbia. I packed my bags and left for the coast and before I knew it I was aboard the Soraya. It was a gorgeous boat, with teak everywhere. The 3 of us were happily installed in the marina. I had vacationed a lot with my Grandparents. I was the lucky grandchild who was the eldest grandchild and yet only 6 years younger than my Grandparents youngest child. I received the best of both worlds. I was a spoiled grandchild and reaped the luxuries of being their youngest daughter. Spoiled on all accounts! I often went camping in the summer, spent weekends at the cottage, taken on road trips to family heritage sites like Humbolt Saskatchewan. I could run away from home for the weekend by calling up my Granny and ask if I could sleep over…She always said yes with a fake angry voice and told me not to make a mess. Sleeping on the Soraya was no different except I had my Grandparents ALL TO MY SELF at the ripe old age of 21. 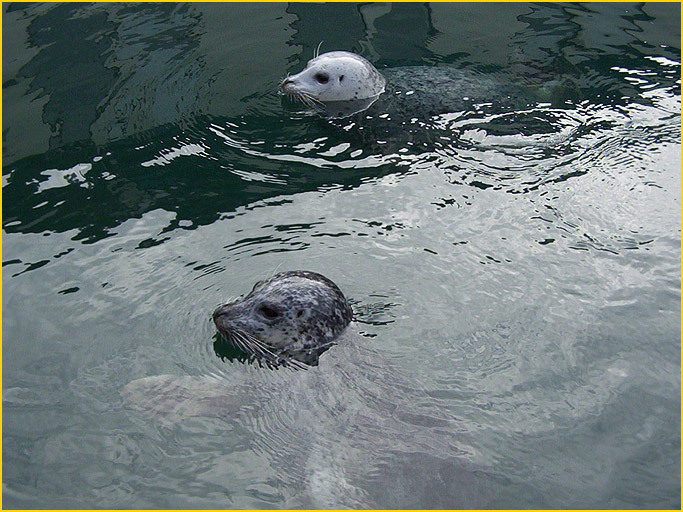 Mornings were spent watching the Harbour Seals swim up to the boat thinking we would share our breakfast. Day trips to Stanley Park, Gastown, Granville Island and Steveston. 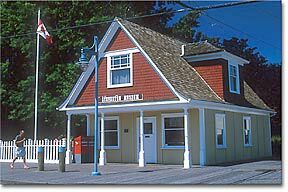 Steveston was an important place to visit. It housed the best marina hardware store on the coast! It was filled with all sorts of cool things. The floors were creaky and the upstairs had stuff you never knew existed! Grandpa and I would spend forever in there while Grandma waited and waited and waited and waited.When we finally emerged into the light, I caught a glimpse of MacGiver! It was filmed in Steveston and I loved him as much as Patty and Thema do on the Simpson’s. My trip had just become prefect. Eventually the Soraya was ready for a trip up the Sunshine Coast. I was so excited and completely trusted my Grandpa. He knew EVERYTHING! Well…this was the trip I learned he was a liar. The kind that lied like a sidewalk. I learned Grandma was not left in a basket on the church steps wrapped in the quilt that was in the closet. I learned that Grandpa was not shot by the Chinese in the war and lost his kidney that way. I learned that he DID not walk forty miles to school in the winter, his house was across the street. I learned that he was not a little girl before he became a man. His stories ALWAYS started with…When I was a little girl… I was gullible when it came to my Grandpa. I also learned that he thought driving his yacht was the same as driving the motor home. Compete with my Gran yelling at him when the time came to “park it”. Often the entire marina could hear #&$^ @*(# OH LEROY! I was use to ignoring them…to me it was just their “way”. Sailing up the coast, my grandparents decided I should go to Molly’s Reach for ice cream. MOLLY’S REACH? Are you kidding me? For those of you who are out of towners – meaning you never grew up with the CBC and watching The Beachcombers on Sunday nights. 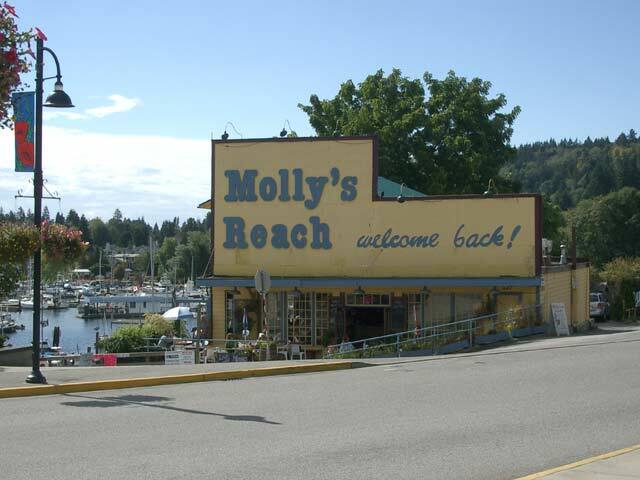 This meant I got to SEE where Relic hung out with Jesse and Nick at Molly’s Reach, Molly’s restaurant. Apparently it was REAL and I could get ICE CREAM! The only thing that would be better than eating ice cream at Molly’s Reach was if Howie Meeker was there! Oh Sunday nights on CBC in the Arctic were awesome… You people with more than one TV channel had NO IDEA what you were missing! 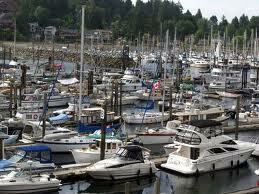 Pulling into the marina berth was a lot like pulling into a camp spot in a RV. Grandpa knew this. What he didn’t know or understand was to slow down the boat flipping it into reverse was optimum. Me sticking my leg out before we hit the pier would only result in my having a broken or amputated leg. This would NOT be optimum for me. The good news was – my leg was not broken, dinner was quiet because Gran was mad, the ice cream was DELISH! and I had a lovely nap on the deck of the Soraya and I had a radical tan!. The bad news was, I never saw Nick, Relic nor Jesse. I never saw a hottie on shore and I had 2 days before I had to go home. 2 days later, I was left at the train station. No they didn’t dump me because I was annoying…at least that was their story and they stuck to it. I had picked up The Princess Bride at the Coles before I left so I had something to read. I had not seen the movie but was ready for a fun book. It was the kind of book where I was so involved I would laugh out loud. Not just smile or snicker but actual Gafaws! People would stare at me but I didn’t care. I wish I had that attitude to carry me through the next decade because I was about to embark on a new adventure of work, car payments, jerks, pressure and poverty. It doesn’t matter now. I have that attitude back. I just found it recently. Lessons from that trip are lessons I have relearned this year. The cloud of worry is dark and vast. Worry is a waste of time. I can only control my actions and have to let go the actions of others. It may seem like I don’t give a crap, but perception is like that. I learned that I often don’t realize how deep I am in it until I can’t cope any more. That has to change starting immediately. Keep my nose out of it and do my best is all I can do…oh and laugh out loud until my belly hurts. That damn boat need better bow thrusters to put into dock. I’d seen Grampa grease that thing in like he was an old Corvette captain, and I’d seen him make the dock shutter. Soraya was one tough boat. A true classic, wood hull Grenfell with twin Volvo engines. If you were inclined I think it could pull up a water skier. Topped out at something like 30 knots. I lived on it a lot, and it could be a pretty big handful going out the Fraser with a tide coming in. I recall being out in it when the waves were too big for the ferries to run, it thought nothing of them. Just keep the power on and hammer them. Good tale Tourist, and yep Grandpa could spin some pretty wild stories, but he still won the war by himself and with his pal Joe tagging along. I agree about needing the ocean now and then. I love Warrnambool in winter June/July even with the near constant gales, staying in a place near the shore, being able to lie in bed and hear the waves of the Southern Ocean in its full fury. Awesome. hi roybob you just made my day we realy did have some great trips and i am so happy that you like them to and i miss gramps do thanks for the memory love g.g. 😀 I liked the Soraya best, that and the Cottage… Taking short cuts in Saskatchwean took forever!! Are all grandads the same? My grandad sounded exactly like that! Everything was just peachy, while my gran was always on his case. He passed away ten years ago from cancer. I often wish my little princess could have met him and shared some of those memories. I think you are right! My kid’s grandpa is a bit like that too!